Some people collect figurines, put together train sets, or spend time on puzzles. Finding new tools to save me time/improve workflow is a hobby of mine and makes me giddy. Yes, I am that much of a nerd. Good news for you, I did the research and you get to use the apps. I was a fan of the original Facetune for turning my ordinary iPhone photos into professional looking images, but this new version is seven bazillion times better. You can still do the fancy things like whiten teeth, smooth out wrinkles, and improve coloring (not saying how I know this, of course) but you can do the same thing in real-time photos and videos. This app is the social content creator’s bff. For reals. 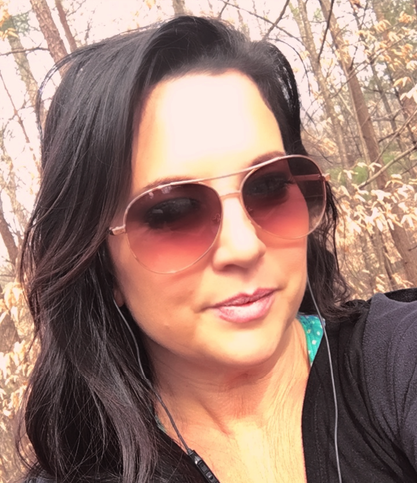 Created with app after a workout with no makeup on… the app is that good. Swish video creation tool: This app is a legit game changer for video and ad creation. It comes with video and music you can use and in just a few seconds, have your own professionally produced video. 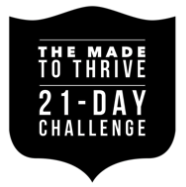 See image above for the Made to Thrive 21 Day Challenge logo. I created that in WordSwag in 10 seconds. That app is amazing pants. I use it all of the time for logo creation, post images, and slide development. It is a Rockstar app. Use this app to create a voice message and/or video to send when you want to go beyond email. I use this app for sending personal messages that come in from our tribe with questions about programs they are considering enrolling in. Bonus… Every time I have used this, the person has moved forward. Great app! Zoom is our preferred meeting platform because it is super easy to use and never goes down. We previously used another platform and it constantly had issues. This platform never does and it works well from desktop or mobile, so it is super user friendly. Plus, the webinar platform allows you to broadcast live to Facebook at the same time as your webinar – score! Stuck for a title or headline for your next blog, post, email, or landing page? Get those creative vibes going with this app that will give you over 700 headline suggestions in seconds for any topic you choose. Looking for ideas on what to write about next? 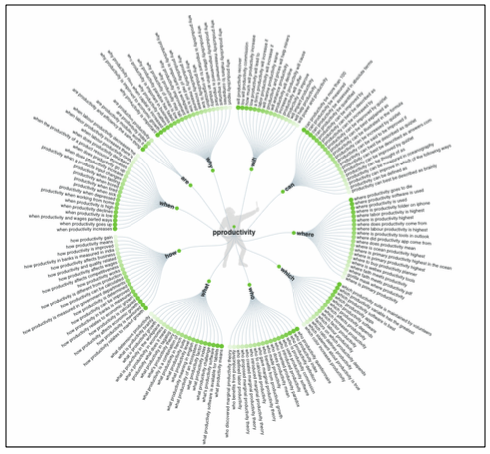 Find out exactly what your target market is searching for answers on right now! Voxer is a walkie talkie app used to send quick conversations to individuals or groups at one time. It is a premiere benefit of our Inner Circle Mastermind and the only level of membership that has direct access to me. Voxer is super easy to use and streamlines communication. 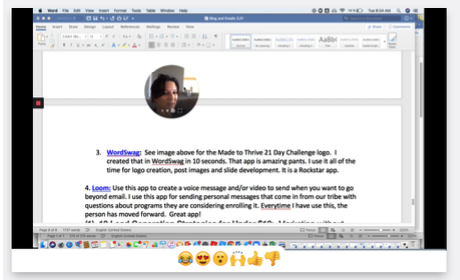 I am a big fan… if you want to offer this as a coaching bonus or use it to streamline team communication, check it out. Oh honey child, this platform rocks. It saves so much time and energy from having to hunt and peck and search and sort for passwords. Our whole team uses it and not only does it keep your passwords straight, but it manages credit cards, bookmarks, and more, so your time online can be spent audience-building and order-taking instead of data entry. What is one of your favorite time/life hack tools? Want more hacks for saving time, while eliminating chaos? 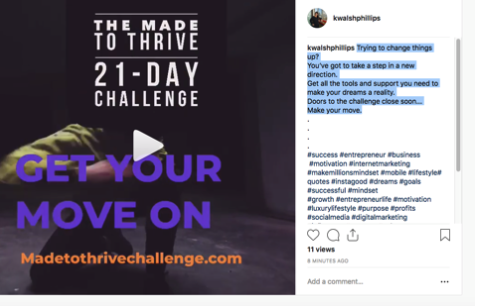 Make sure to join our Made to Thrive Challenge. In 21 days, you will get more done than you did the whole first quarter of 2019, drama and stress free. I put together this challenge to give you all of the time and productivity hacks that work so you get the most important things done, while taking care of more than just your business. 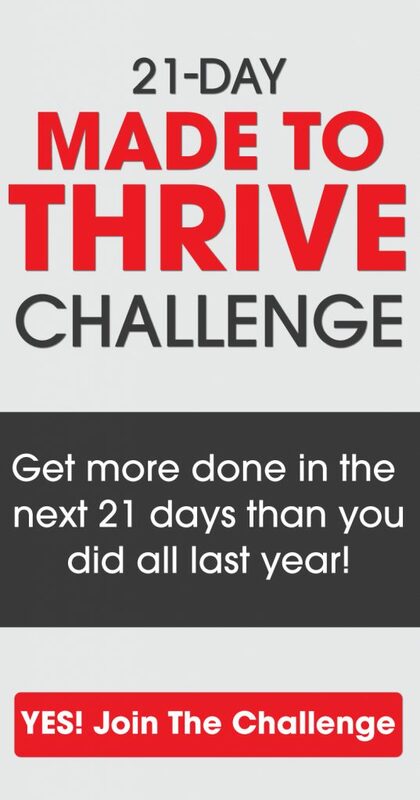 The Made to Thrive Challenge will enable you to reach your Business, Spiritual, Health, Personal, and Family Goals. Because thriving is more than just hustle and grind. To find out more details and join the challenge, go here now. Hope you get some good use out of them, Ronnetta. These are GREAT! I’m a huge fan of LastPass. It stores all my passwords on my laptop and smartphone giving me security and ease to get into the multiple accounts I need access to. That’s great, Sarah. That’s the same reason we love 1Password! Thank you Kim!! Great app ideas!! Voxer does work great with our Inner Circle membership!! We love being members!! Highly recommend to everyone considering it! I love Last Pass too for password saving software. So kind to say, Lou! We love having you. Ditto on Last Pass! But LOVE Loom! Great list! VERY helpful to me especially Headline Generator and Answer the Public! Thanks again! Awesome! I cannot get enough of Loom lately.